The wetlands across the United States have an assortment of plants that grow in or in close proximity to them. These plants range in size from tree species to different kinds of weeds and grasses. Some are common to nearly every marsh, swamp or other type of wetland, while others grow only in specific portions of the country. 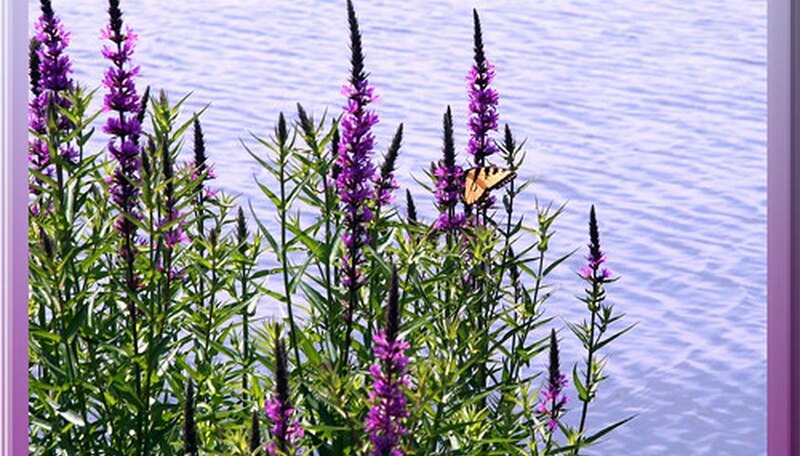 Some of the common wetland plants are invasive species that can clog waterways and crowd out native plants. Shrubs that can form thickets along swamps, streams and rivers are often part of a wetland habitat. Among these are blueberry, hollies, elderberry, fetterbush, chokeberry, silky dogwood and buckeye. Buttonbush is a typical wetland shrub that grows less than 10 feet tall in wetlands along the shores of a lake or on the fringes of a swamp. Many of these shrubs produce berries such as the elderberry and the blueberry, making them important within the ecosystem as a source of food for wildlife. People often do not include trees when they think of wetland plants but several types of trees grow where the soil is moist and wetlands occur. Among them are water tupelo, river birch, red maples, box elder and the bald cypress. The bald cypress can attain 125 feet in height and will be completely within the watery boundaries of a swamp. Often they have Spanish moss growing from them, a flowering plant that garners nutrients from the air. Bald cypress is native to the deep South. Many of the grasses and weeds that are common in wetlands have benefits to wildlife and people. For example, aquatic mammals such as muskrats eat the roots and tubers of cattails, and birds, especially waterfowl, will devour the seeds of a species known as barnyard grass. 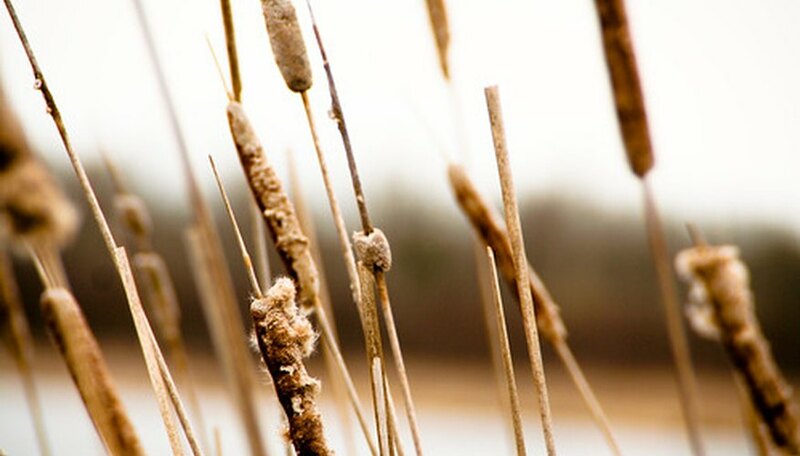 Giant cane has uses as fishing poles and pipe stems while salt marshes receive most of their organic nutrients from smooth cordgrass, a wetland plant that grows in abundance in those settings. Tall stands of grasses give cover to birds and animals and water plants provide shade in the summer for fish. Invasive wetland plants such as loosestrife and water hyacinth can invade a region and take it over, choking off all other plant forms and not allowing them to prosper. Large stands of these non-native plants go by the term “monocultures.” Loosestrife came from Europe and has the ability to take over large portions of a wetland. Once it does, it causes some native animals to leave the area, since they cannot eat it. It also grows so thick that it obstructs riverbanks and can even affect the flow of water. 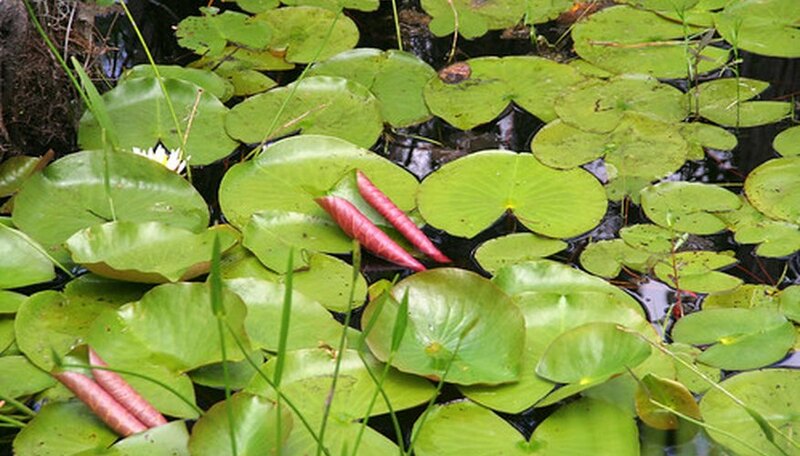 Some common wetland plants are better left alone. One is poison ivy, which is not limited to wetlands but often thrives near water. This plant contains oils that cause itchy rashes. Another wetland plant to steer clear of is catbrier, a climbing vine that has sharp thorns. This plant will form thickets that are impassable and painful for anyone who stumbles into one. Sawgrass, a wetland grass that can be well over a person’s head, gets its name from its sharp margined leaves that will make someone think twice before trying to walk or wade through it again.